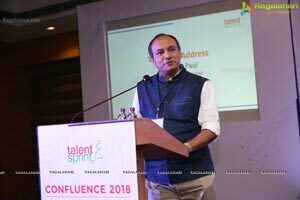 Hyderabad, October 13th, 2018: The third edition of Confluence, an initiative by TalentSprint bringing Academia and Industry to collaborate and get ready for the future was held in Hyderabad today. 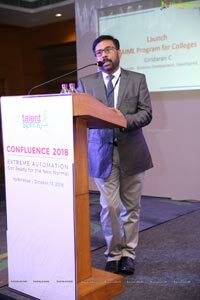 Themed “Extreme Automation: Get Ready for the New Normal”, the event was attended by senior management representatives of colleges from across the country and covered various aspects of deep technologies driving automation and steps colleges can take to stay ahead of the curve and align themselves with future requirements of the Industry. 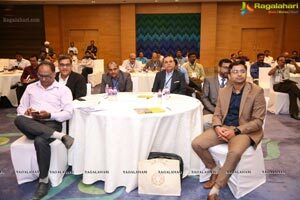 Industry experts from Pegasystems, BigBasket, Automation Anywhere, Virtusa, HCL and TCS and representatives of colleges shared their thoughts and discussed on the way forward for colleges to get their students ready for the jobs of the future. 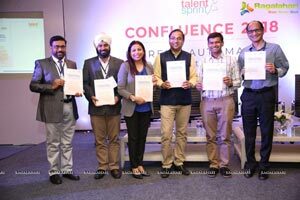 TalentSprint launched its new program, AIML Program for colleges, on the occasion. 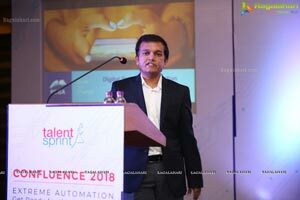 TalentSprint announced the launch of a program on Artificial Intelligence and Machine Learning Program for college students. 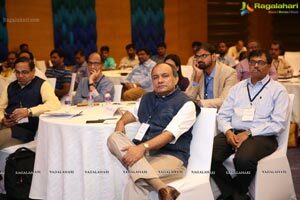 Aimed at enabling engineering college students to be able to develop applications using AI/ML and equip them start their career in this deep-tech area, this program will be an delivered in a hybrid format at college campuses. 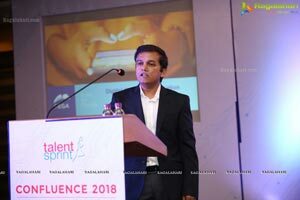 This is the third such deep-tech program by TalentSprint for colleges after Women in Software Engineering (WISE) and Pega University Academic Program (Pega UAP). 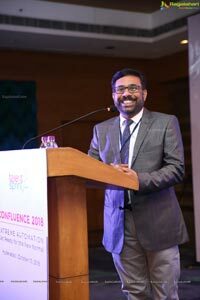 Mr Hari T.N., Head HR, BigBasket, delivering the keynote address said, India is two India's, India one is privileged India, well off, having enough to make two ends meet and has access to English medium education, the second India referred to as Bharath is underprivileged, struggling, where children are the source of getting money for the family rather than enjoying childhood, these two Indias never seem to meet, the first India never knows what are the problems of the second India, are. We always thought those problems will somehow go away, the Government will solve them, but we will have nothing to do with them because they don't impact us. But gradually as India is progressing the problems of Bharath are beginning to impede its progress. So India cannot raise its head unless Bharath is taken along. Somehow we have to find a way to bringing the two, together. After Independence we wanted to take a socialist and welfare position, we took it very passionately, however there was some misplaced enthusiasm, the Government took on the economic position and began manufacturing lot of things, ran businesses, did things which private enterprise was supposed to be doing and over a period of time an adversarial relationship developed between those doing business and those regulating business, so inspector raj began and entrepreneurs were not excited to be entrepreneurs, because they felt everyone to be adversarial, whether its tax authorities, the factory inspector, labour inspector. So entrepreneurs were not excited and were happy to take on safe cushy jobs and that went on for three more decades. Over this period the bureaucracy became so strong that it needed an act of god to bring change and that act of god came in 1991 when Government of India became bankrupt, we had no choice, with some nudge from IMF and our own needs, we pledged our gold with Bank of England and began initiating economic reforms. 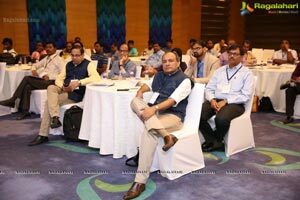 Every successive Government went down the path of reforms whether it was FDI, in ease of doing business, transparency etc. India is a complex democracy, there were challenges, however we made progress after that. In 1978 China's per capita GDP was exactly same as ours, but today China's per capita GDP is four and half times of that of India's. 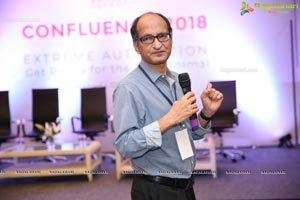 India today is the youngest country, there is a huge youth bulge, many people were excited about this youth bulge, 12mn people entering employable age every year, we thought we could get them to build infrastructure, develop software, rockets, great products and many other things. The mistake was we thought you take care of the supply and the demand takes care of itself, it was never ever true, never as simple as that, demand never took care of itself. The same thing started playing out in the talent market as well. Today there are as many nay sayers as those positive about this dividend. If the situation isn't handled well this so called demographic dividend can become a demographic disaster, so that's the current scenario. In 1990, in anticipation of Y2K the entire IT industry took a boom, because the high cost economies like the US, Europe figured out that they had to make the change and people in large numbers preferably those who could speak in English with basic skills were needed. 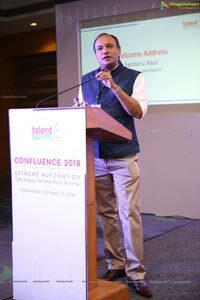 Found that India provided that large talent pool, so people were drafted in large number and huge industry developed, over a period of time the industry was $150 billion in size. In the beginning there were large ups and downs, the companies thought everyone in India was as good as those working in US companies. 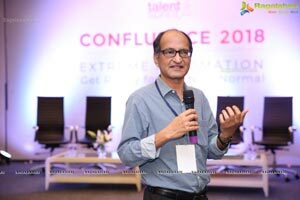 When they came to India they figured out that wasn't the case, less than 20% of the engineers were employable by the companies. 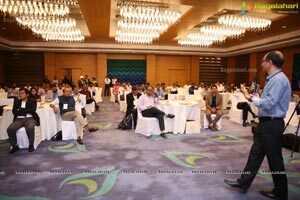 But that didn't change the narrative, the narrative was that India is a destination for doing some low cost work and that narrative continued. 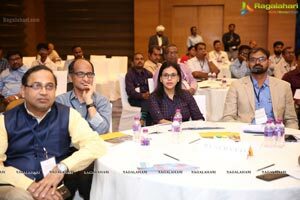 For a long time this industry sustained, gave India a private place in the world stage, gave employment to thousands of people, large IT services company would go to tier 2, tier 3 towns and colleges and recruit by the thousands. So if you were reasonably well educated you could get employment, a great standard of living, that was the story for a long time. But now, IT employment has pretty much flattened, whatever growth is happening is jobless growth, because automation is replacing people. The new engineers are coming onboard and the older ones with older skills are not finding a place. The hope that this Industry will rescue us and give 12mn people employment a year is not just going to happen. So there is going to be jobs only at two levels one is absolute blue collar and other one is absolute top level. Let's look at education in India and how we looked at it, just as China got old before it got rich, India got rich before it got skilled. That's the reason why we are in a position to send mission to Mars but unable to build a pothole less road, because we are not skilled' we didn't care about skill. People in India always craved for degrees and got them, there is a difference between education and degree. We created a bunch of people who are not willing to work at the lower end and not competent to work at the higher end. This kind of education system has completely failed as we have not heed to vocationalize our education. 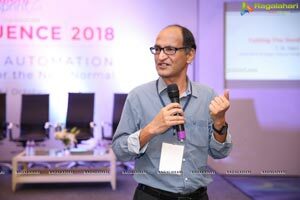 India's education system needs to be completely transformed, which is not easy. We need vocational universities that are run totally different from regular universities, where 80% of the time is spent in the industry and 20% in campuses. We have a education which runs as a system and not as practical. Education needs to be continuous, it can't stop at the end of your graduation or post graduation. Education is most relevant if it is imparted just before you need it, that's when you begin to apply. Are you able to adapt to new technology, are you able to adopt to new ways of working, new management practices, those are the things that are becoming important. So those who learn new things, pick up new things are the ones who will succeed. Today the rate of change or scale is amazing. Technological developments could be classified into two, all those things you couldn't do earlier could use technology and do, like some medical procedures done with technology, we couldn't do earlier due to being inaccessible are risky, this kind of technology will never kill jobs, they will create new jobs. Second kind is all about bots, automation for repeatable tasks, will to some extent take away jobs. As we are seeing today, even several white collar jobs which are under threat. There is a school of thought that in the past technology is the biggest engine for job creation, Deloitte proved it with a detailed business report. The other school of thought says, today you can't extrapolate that argument, the rate of change of AI is so significant that a lot of jobs may be actually taken away. Nobody knows as both schools seem right, but what is certainly right is those who don't keep in touch with what's happening, those who don't learn new skills, those who don't treat learning as lifelong learning will not stay relevant. 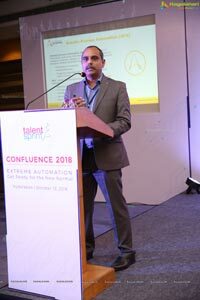 While demand for generic skills have declined, this new wave of automation has created an opportunity for deep tech professionals like never before. Gartner predicts that AI will create 2.3 million jobs by 2020, while eliminating 1.8 million current jobs. McKinsey predicts that by 2030 as many as 800 million jobs could be lost worldwide to automation. The book 'Cutting the Gordian Knot' authored by Mr TN Hari and Mr Hari Menon, was released at the seminar.